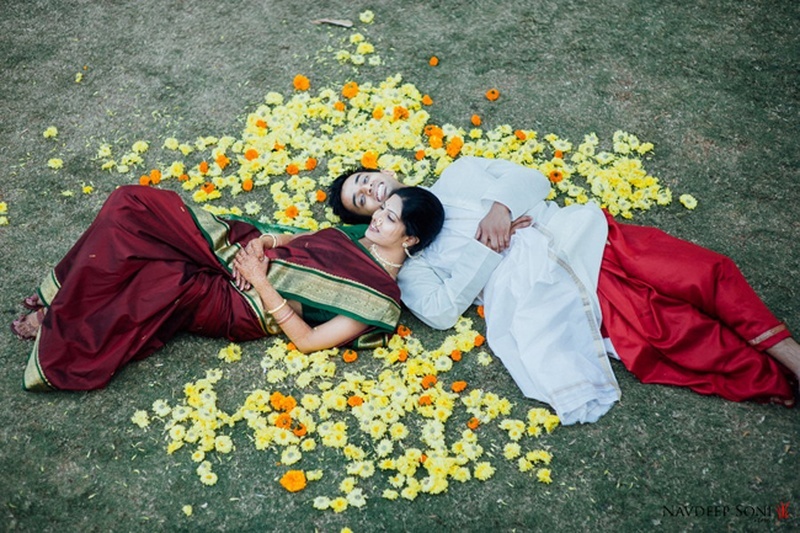 As much as we love the shor-shaaraba of Big Fat Indian Weddings, green weddings such as Neha and Kunal’s seem to leave a lasting impact on us. The use of clear blue skies as a backdrop, simple yet stunning outfits and minimal décor elements that brought freshness to the wedding. We love that Neha and Kunal took the no-stress process, where confusion between chivari and folding wooden chairs, and lilac and lavender didn’t cause tiffs, but all that energy was directed on the love. After the wedding was over, Navdeep Soni snuck them away for some beautiful photographs at picturesque locations around Malhar Machi, Pune. Among grand hilltops, blooming flowers and old vintage clocks, he brought a timeless, simple feel to the post-wedding shoot pictures. Check out the more photos from this gorgeous green wedding here.